On November 24, the US FDA notified consumers not to purchase or use Super Extreme Accelerator because it contains undeclared drug ingredient. In light of this news, AttorneyOne, a recognized authority on law, updated the website providing detailed information to consumers. We are determined to keep an eye on FDA announcements concerning Super Extreme Accelerator and inform the public. AttorneyOne.com, a recognized authority on law, update the website daily regarding all the latest information from the FDA on Super Extreme Accelerator. FDA advised consumers on November 24, not to purchase or use Super Extreme Accelerator because it contains undeclared drug ingredient. Super Extreme Accelerator is promoted and sold for weight loss on various web sites and possibly in some retail stores. The reason for the recall is that FDA Laboratory Analysis revealed that the product contains Sibutramine. Sibutramine, removed from the market in 2010 for safety reasons, can significantly increase blood pressure and/or pulse rate and can pose a significant risk for patients with a history of arrhythmias, coronary artery disease, stroke, or congestive heart failure. 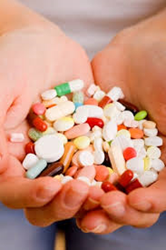 Moreover, it can interact in life-threatening ways with other drugs that patients are taking. As the FDA notes, “Do not purchase or use Super Extreme Accelerator.” AttorneyOne.com has further information on Super Extreme Accelerator at the website including the latest major drug, food, and medical products law news.